Fr. 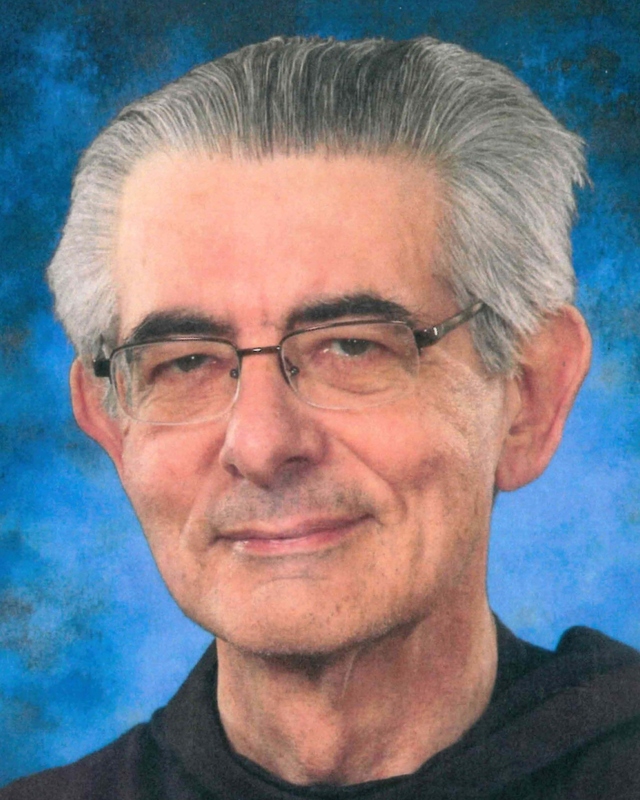 Andre McGrath, OFM, died at the friary of St. Mary of the Angels, New Orleans, LA on Saturday, Sept. 8, 2018, around 8:30 p.m. Central Time. Timothy Joseph McGrath was born to James William and Helen Rose (Olma) McGrath, on April 20, 1940. Andre is survived by his brothers Joseph (Susan), James (Marilyn) and Charles (Therese) and his sisters Mary (Bob) Hintermaier and Theresa (Patrick) Koller. Andre traveled to complete his elementary education at St. Cajetan in Chicago, St. Charles in Coldwater, St. Augustine in Kalamazoo, Michigan before moving to Albuquerque, NM to finish at Bandelier. He attended St. Mary High School in Albuquerque, NM before transferring to St. Francis Seminary in Cincinnati, OH. Andre is a graduate of Duns Scotus College in Southfield, MI, St. Leonard College, Centerville, OH, the University of Detroit, and Catholic University of America, Washington, D.C. and did additional studies at the University of Tubingen, West Germany. Ordained in 1967 at St. Leonard in Centerville, OH, Andre ministered at Bishop Luers High School in Fort Wayne, IN, St. Leonard College, Catholic University of America, Mt. St. Mary Seminary in Cincinnati, St. Mary Seminary in Cleveland, OH before moving to Nairobi, Kenya to serve on the faculty at Tangaza College. On his return to the United States, he served as pastoral minister at St. Mary of the Angels in New Orleans, LA, instructor and Theologian at the Greco Institute in Shreveport, LA and then as pastor at Our Lady of the Blessed Sacrament in Shreveport. Fr. Andre’s time in Africa shaped much of his succeeding life and ministry. It was there he became involved with an inspirational group of men that he later formed into the Lyke (named after the late Archbishop James P. Lyke) Community Franciscan Missionaries of Hope. The Lyke Community continues to bless the Shreveport community, as they have done since their arrival in 1998, by witnessing Christ to those who suffer, feel unwanted and who yearn for a second chance at education and spiritual fellowship.